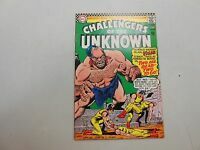 Challengers of the Unknown #52! (1966, DC)! VF7.5-! high grade silver age dc!